This is your only chance to fly a real jet warbird in Canada – and seats are limited! The Lockheed T-33 “Shooting Star” has been in Service with the U.S. Air Force, U.S. Navy, the German Luftwaffe and many other Air Forces around the world. While its primary users – USA, Germany, Japan and Canada – used the T-33 as a Jet Trainer, many other countries used this agile jet as fighter and reconnaissance aircraft. 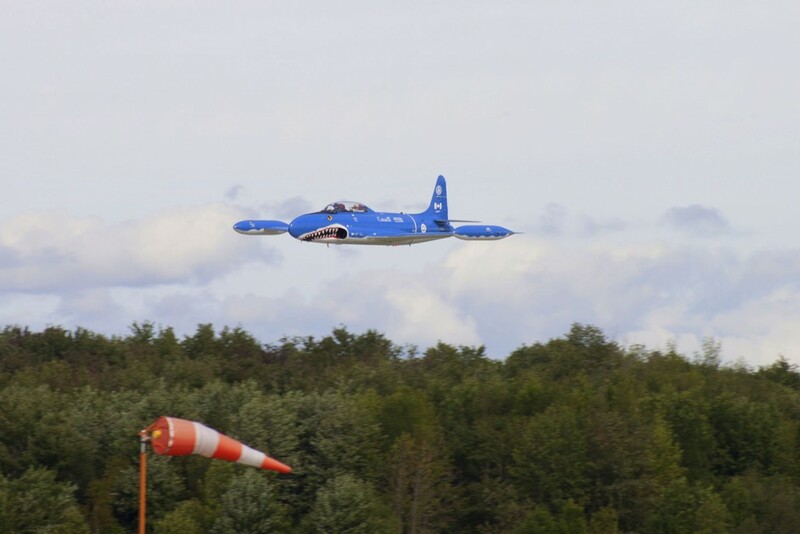 With a maximum speed of 970 km/h, the T-33 even outperforms the L-39 Jet Fighter available for flights at other locations across North America and Europe. 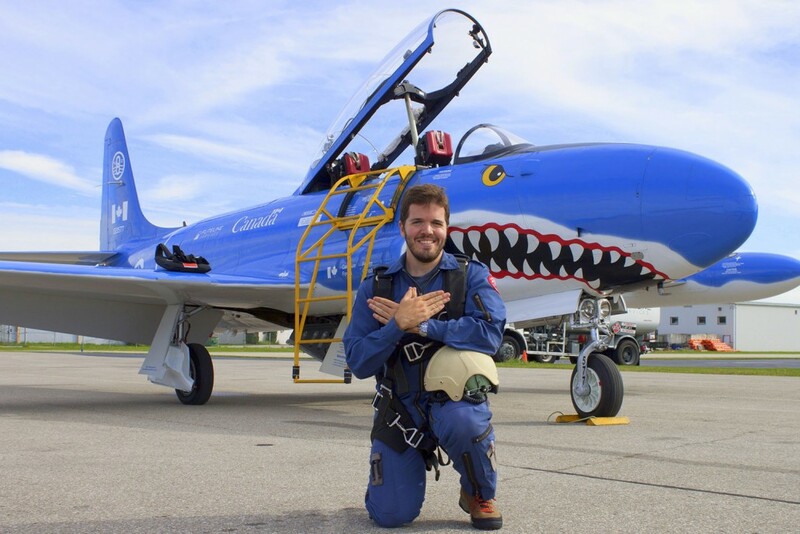 What’s included in the T-33 Jet Warbird flight near Toronto, Canada? 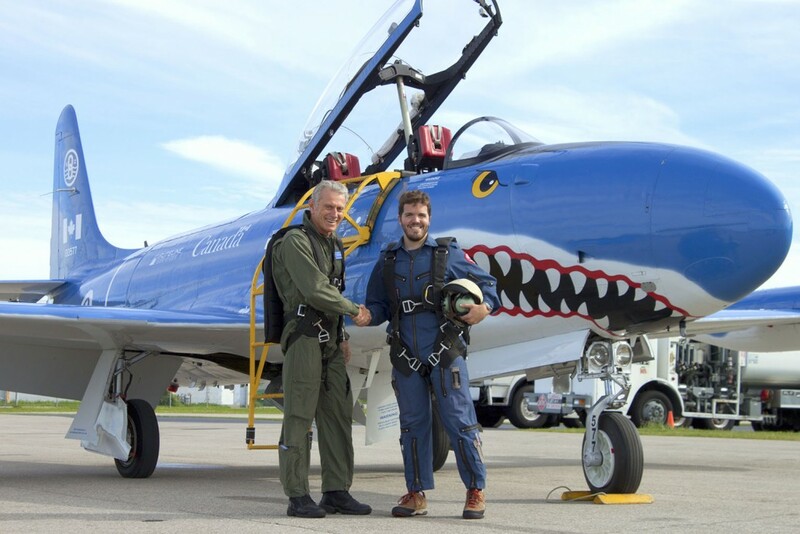 Similar to many of our other locations of military jet flights, you’ll also be able to fly the T-33 jet yourself. Also, you’ll be performing nice maneuvres and High-Speed Low-Level Flying above the airfield. 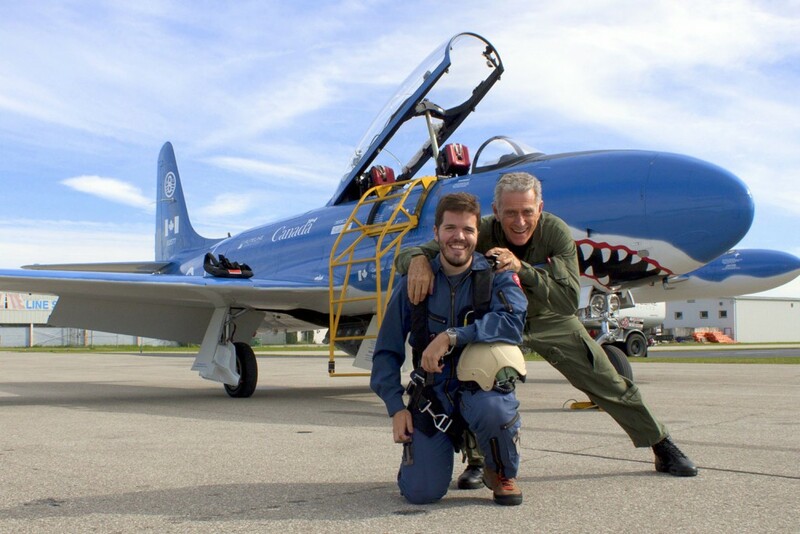 After the thrilling T-33 Jet Warbird Flight you’ll receive a flight confirmation certificate and have the possibility to pose for ‘Hero Photos’ with your pilot in front of the jet. What does the fighter jet Ride in Canada cost? The flight price depends on the flight duration: A 30 minutes flight costs USD 2,399.00, a one-hour-flight costs USD 4,500.00 This includes all preparations, taxes, fees etc. What are the requirements fly the T-33 Jet Warbird in Canada? The Lockheed T-33 “T-Bird” (also called “Shooting Star”) was the world’s first dedicated military jet trainer. It is a further development from the Lockheed P-80 Shooting Star, that was suddenly inferior to the more advanced Soviet MiG-15 in the Korean War. However, its career as a military jet training aircraft was highly successful with more than 6500 units produced. 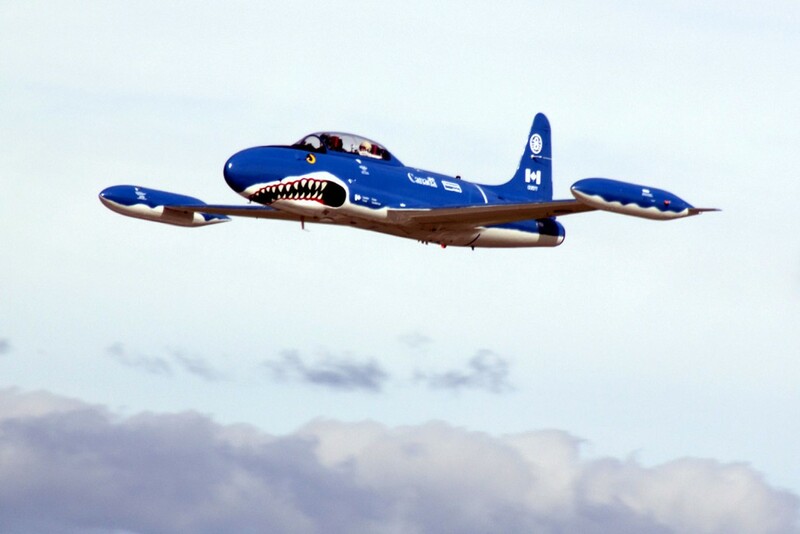 The T-33 has a top speed of 970 km/h – or 600 mph. How do I get to fly the T-33? And – you can’t do anything wrong. You’ll have the flexibility to change the flight date and you can even change the flight location at no cost. We have Toronto/Canada available, and for the same price you can also fly the L-39 in Florida, California (and even Texas and) – all at the same conditions and with a fantastic flight program. When you book a flight in this T-33 with us, everything will be taken care of. 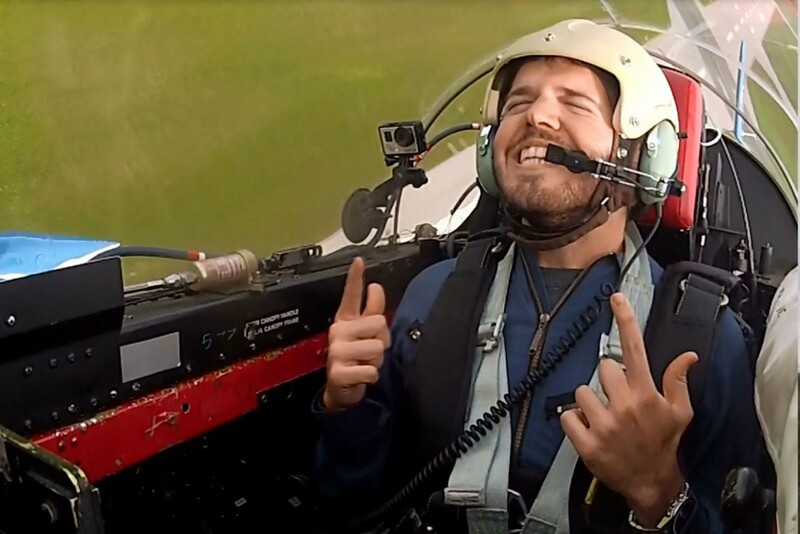 At the day of your Top Gun Adventure, you’ll be prepared for your flight over a 3-hours introduction course covering jet flight particularities and safety procedures. Like all other flights in military airplanes arranged by us, the entire flight program will be tailored to your needs. While the pilot easily delivers an exhilerating flight program, it’s up to you to opt for a more relaxing type of flight. My flight experience on the 6th of September in the T-33 was phenomenal and I could not have asked for a better and more professional group of people to provide me with such a fantastic experience, it was truly amazing and I thank FlyFighterJet.com for providing such a service. I also highly recommend the experience for any future costumers you might have.